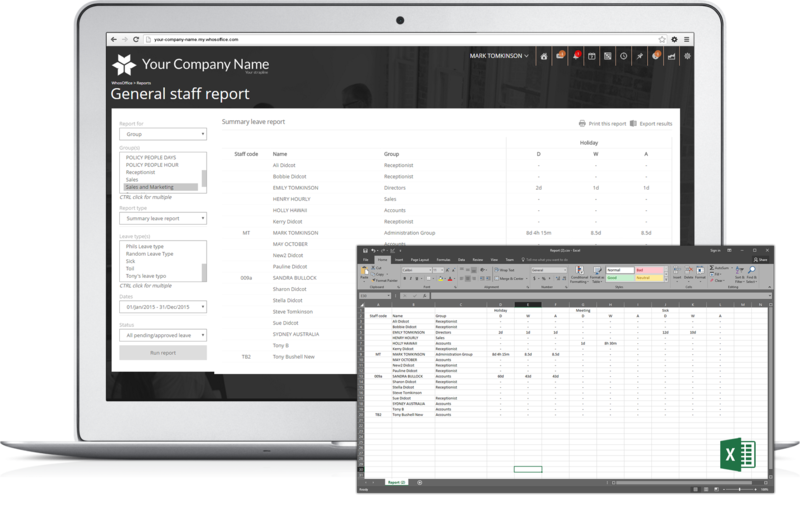 Create customisable reports and exports for Work, Leave and Overtime. 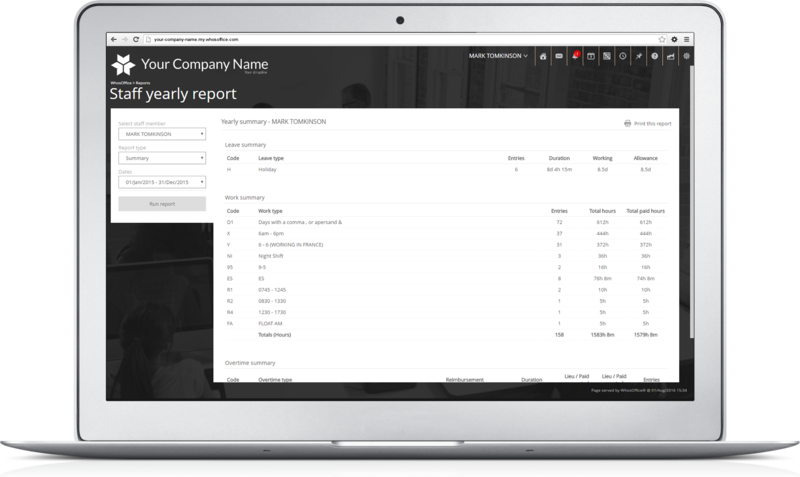 From the reporting screen, you can choose various parameters such as groups or leave/overtime types and review reports for any period of time. Each available report can be downloaded into .csv format giving you further opportunity to analyse your data. Additional reports include Staff Yearly reports - giving you a detail overview of their work, leave and Overtime throughout the year. Also, Leave Policy reports let you view historical transactions each policy a policy has run. You can also print any of the work, leave or overtime calendars directly from the calendar screens.